The house cleaning service was prompt and efficient. Hounslow Office Carpet Cleaning on the whole were first class. Carpets and rugs can often hide all kinds of nasty dirt and bacteria that can go undetected in your home for a surprising period, but Hounslow carpet cleaners can help. Before you know it, if you don’t act now, the consequences of such mounted filth can often be dire and expensive. Instead, use our carpet cleaners at Hounslow Carpet Cleaners to provide you a cheap solution that doesn’t leave out the quality. We have dry as well as steam cleaning options and our rug cleaning simply can’t be beaten in the region! If you’re looking to dodge a lot of stress and save tons of money in the long run, all it takes is a quick call to 020 3744 5540 to get started! 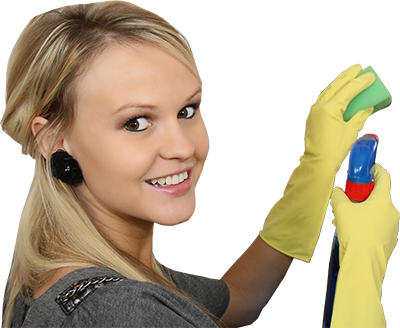 Aside from the cost-effectiveness of our prices, one of the real differences between us and other cleaning companies is the level of consummate knowledge we bring to the table. We know that not just anyone is good enough to take care of your home carpet cleaning in Hounslow TW3, so we only allow the best onto our teams in the first place! Our carpet cleaners Hounslow are qualified and careful and only with us you can truly ensure that no harm or damage will come to any of your pre-existing property! We take our responsibilities to our clients extremely seriously at every single step. An Eco-friendly Hounslow Carpet Cleaners Our Customers in TW3 Area Fall in Love With! No other companies in TW4 could offer up the same environmental conscience when cleaning carpets. We take the time to make a difference, however, as we believe we’re in a position to set an example and do whatever we can to help. Our carpet cleaners are aware of all the best ways to get their work done without causing any harm to the planet. This often includes taking care to dispose of materials properly and using only eco-friendly cleaning products. While this merely scratches the surface of what our Hounslow carpet cleaning does for the eco-system, it’s easy to see that we mean business! Discuss our scientifically proven methods on the phone by calling 020 3744 5540 today. We offer an array of services to our TW3 customers, accounting for any need that may arise. We specialise in dry carpet cleaning, which brings all kinds of its own benefits to the table. However, Hounslow steam cleaning is also available and provides a whole different touch to the job. We’ll help you decide what works best for you, putting it into action before you know it and leaving you with staggering results. With a facility this complete, why even think about looking elsewhere for versatile carpet cleaners Hounslow? Just tell us what you need and we’ll be there to do the hard work so you don’t have to. Imagine the extra time you’ll have hiring professionals! How Do You Make Your Appointment With Hounslow Carpet Cleaners? It’s easy to find Hounslow Carpet Cleaners, as we’ve made ourselves readily available to the entire TW4 region and beyond into the rest of Hounslow. Cleaning carpets is not an easy job and that’s exactly why it’s best left to the experts at all times. It’s also important to have done, lest your home falls victim to the unpleasant results of inaction. We don’t just stop at houses either, our office carpet cleaning is the best in the area too! We’ve spent a lot of time building up the strongest teams of Hounslow carpet cleaners you’ll ever find, so consider how we can help you today. For fast acting results, call 020 3744 5540 now. Description: Calling us on 020 3744 5540 is the first step to get perfectly clean carpet at the best prices in Hounslow, TW3. Contact us now as offer ends soon. Copyright © 2015 Hounslow Carpet Cleaners. All Rights Reserved.